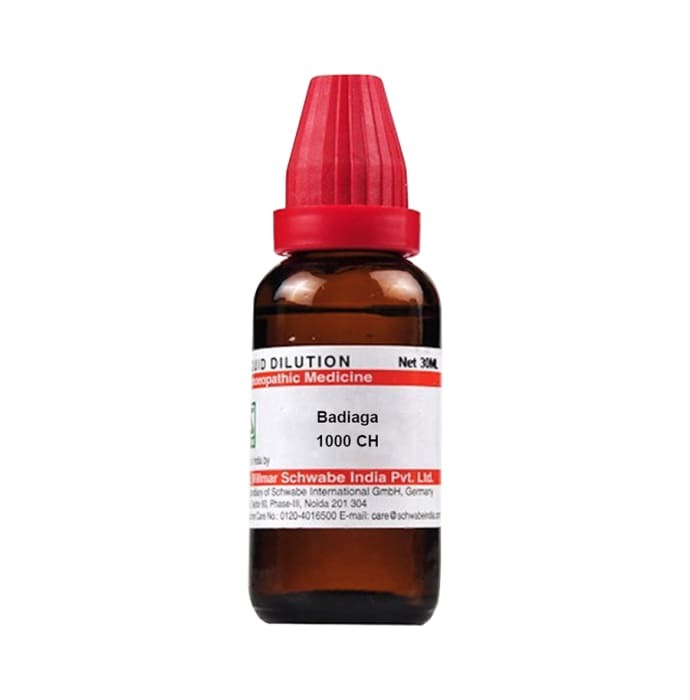 Dr Willmar Schwabe India Badiaga Dilution is an effective medication for the treatment of sore muscles and hard skin covering. It is a good medication for the treatment of swollen glands and partial paralysis. It is also used for the treatment of thick yellow cough.Sensitivity due to cold is also reduced using this medicine. Consult a doctor before taking the medicine.